After 50 years behind the bar, Terry Fowler has passed the reins of his Bendigo pub to further enjoy his retirement. 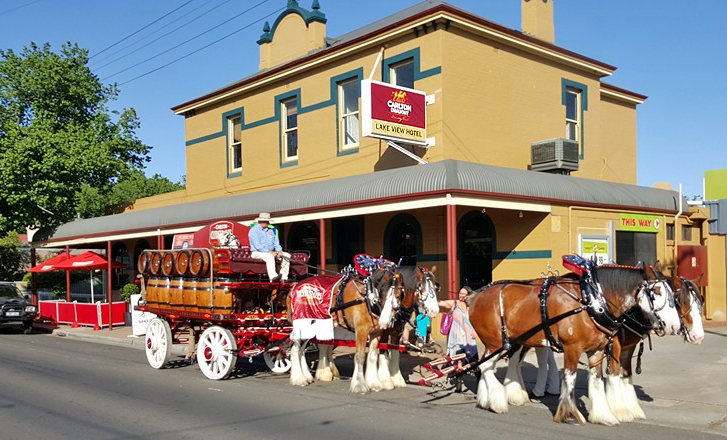 One of the stalwarts of the Victorian industry, Terry and family including wife Helen have satisfied customers at half a dozen pubs in the region. Terry began his time in hotels back in 1967, working under his father at Epsom’s former Turf Tavern. He took title to his own with Bendigo’s Court House Hotel (now Star Bar) in 1976, the British & American Hotel in 1980, the Brian Boru for a period in the 80s, and ultimately the freehold of the Lake View Hotel, in 1990. During the 2000s he stepped away from operations to spend some time as a hotel broker, before ultimately returning to run the Lake View in 2014 after it almost went into liquidation. Since then he has gradually taken a back seat to the day-to-day, his daughter Amanda carrying on the family’s role. Opportunity also saw Terry hold the keys for a time at the Romsey Hotel, in nearby Romsey, and Bendigo’s Boundary Hotel, which he sold on to the Gould family. Years later the relationship continues, with the Goulds taking the baton at another Bendigo pub. “They run good pubs … it’s a good thing,” Terry told PubTIC. The Fowlers have made a practise of engaging the community at their proudly family-run venues, over time knowing regulars from Bendigo’s Golf Club and other sporting teams, and local rag workers from the Bendigo Advertiser. With the family back at the helm, the Lake View has benefitted from this ongoing mantra of local focus and looking to what the community wants, now boasting a successful bistro operation – the Fig & Fowl – and revised dining operation including outdoor seating. Back in 1999 the Fowlers built the Alexandra Place Motel, next door in McCrae St, operating it for a year. An agreement now sees Motel patrons at the Lake View for breakfast, lunch and dinner. Today (4 September) the Fowlers bid farewell to publican life to occupy more space on the other side of the bar, but Terry believes his tradition of customer-service and innovation will live on at the Lake View.